You'll notice Steam's library looking a little bit different in the future, with a new UI redesign revealed during GDC 2019. 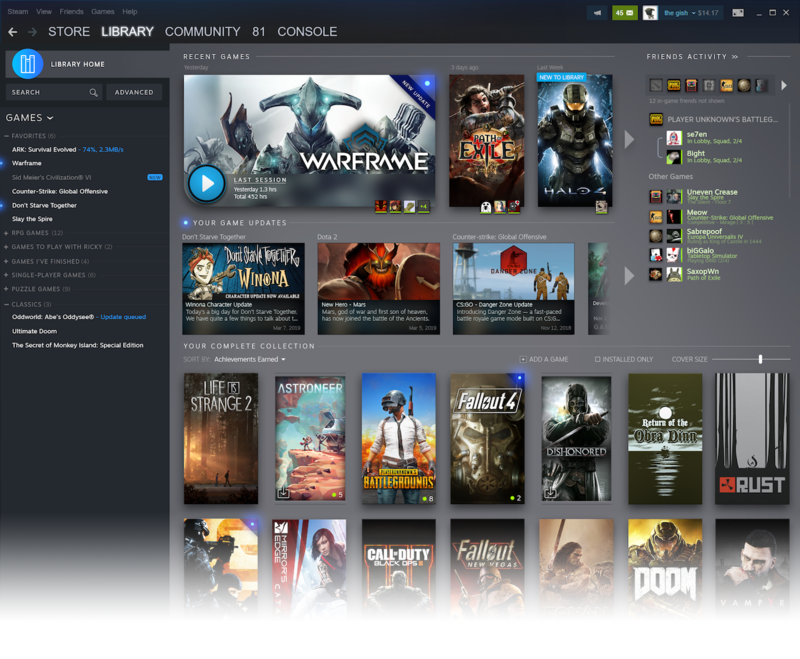 At long last, Steam is changing up its UI and library interface. Following a cavalcade of leaked images, rumored alterations, and other buzz surrounding the topic over the years, it looks like the time has finally come. 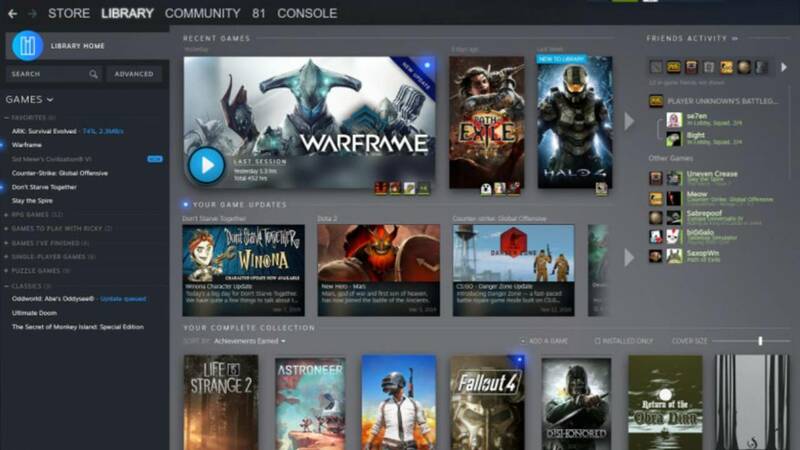 Valve is currently redesigning the Steam store's Library UI, which was revealed during GDC 2019. There's a slew of new changes coming to the platform, including a new Events feature as well. Valve explained during its GDC 2019 presentation that users will soon be getting a new Library page design that will offer much more information at a glance about the current title they've selected so that it's simpler to sort through and look over the games in your collection – or make a buying decision. The new Steam UI redesign, in all its glory. The top of the new Steam Library page will feature the titles of the games they've played recently, their last session, how long it lasted, and their total play time to help keep track of things. Additionally, there will be a new horizontal feed showing you what's new, including things like DLC and other new content available for the games you own. The new Steam Library UI will also feature a friends list with details on games your friends are currently playing so you can hop into a game with them much more easily than before – it's easy to see how this new setup is much more friend and social-oriented, for sure. That's when we come to the Events feature. It will enable developers to communicate with players about new in-game events they're hosting within their games. If there are any events going on in a game individuals own, developers can add it to the Steam Events page, where players can check out all the pertinent details and be reminded when the event happens. Events will be launched as an open beta in the next couple of months. Right now, it's unclear as to when the new Library UI will be available, but we're hoping to see it soon so we can get some time in to play with it. Whoa they are finally updating it!